Break through the snow with a powerful 254cc Poulan Pro OHV engine, 30" working width and large 16" tires. Work around the clock with a flood headlight and, power steering and remote chute (and deflector) control. 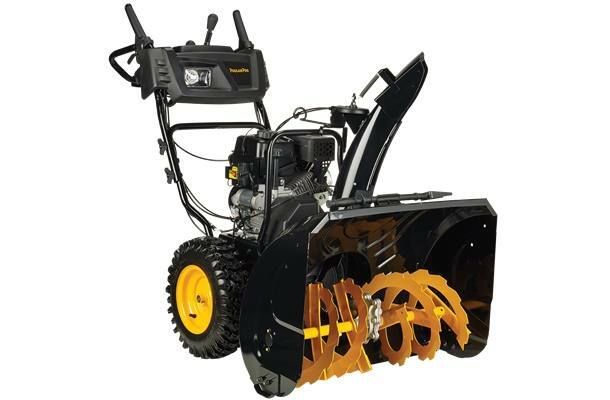 Dual stage snow throwers use a two step process to clear snow powerful ribbon augers break through snow and ice and propel it back into the impeller blades which then push the snow up and out of the chute. Superstorms and Polar Vortex meet the PR300ES!